The police investigating team met with Ismail Rasheed’s parents on multiple occasions and offered immunity from prosecution in exchange for testifying as a state witness, the family alleged. 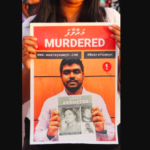 The family of a prime suspect in the brutal murder of liberal blogger Yameen Rasheed have alleged attempts by the police to coerce him into giving false testimony. Ismail Rasheed, 25, was among three suspects whose identities were revealed by the police Sunday night. The police investigating team met with Ismail’s parents on multiple occasions and offered immunity from prosecution in exchange for testifying as a state witness, the family alleged in a statement released Monday by the suspect’s brother-in-law, prominent lawyer Maumoon Hameed. The police officers also asked the family to replace Ismail’s lawyer with one arranged by the police and suggested that his parents should meet with the deputy commissioner of police, who was in charge of the murder probe. The police spokesman dismissed the family’s statement as false and baseless in its entirety. “We deny the allegations and would like make a request again not to share any information which could obstruct or hinder the momentum of the case,” Superintendent Ahmed Shifan told the Maldives Independent. 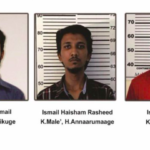 The police said in a statement Sunday night that of the seven suspects in custody, Ismail Haisham Rasheed, 21, Ahmed Zihan Ismail, 22, and Ismail Rasheed have been identified as the prime suspects who committed the murder. 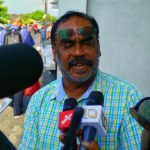 Haisham Rasheed served a prison sentence for robbery and Ismail has a criminal record for gang violence, the police said. But Ismail’s family disputed the claim. Ismail was involved in an incident before he turned 18 when he acted in defence of his sister, the family said. The family stressed that he was not implicated in gang violence in the eight years after the incident and accused the police of fostering a negative impression among the public. The family also insisted that Ismail was not one of the two men whose photos were released to the public on April 25, three days after the murder. The pair was caught on security camera footage “entering and exiting the scene of the crime after brutally stabbing Mr Yameen Rasheed,” the police said then. According to the family, Ismail was taken into custody with an arrest warrant on May 8. Despite detaining him on the grounds that he poses a threat to society, the investigating officers allowed Ismail to sleep in the interrogation room instead of keeping him locked in a cell, the family claimed. The family also alleged that Ismail was detained at the police headquarters in Malé for about three days in contravention of the law. He was kept facing a blank wall for two consecutive days. 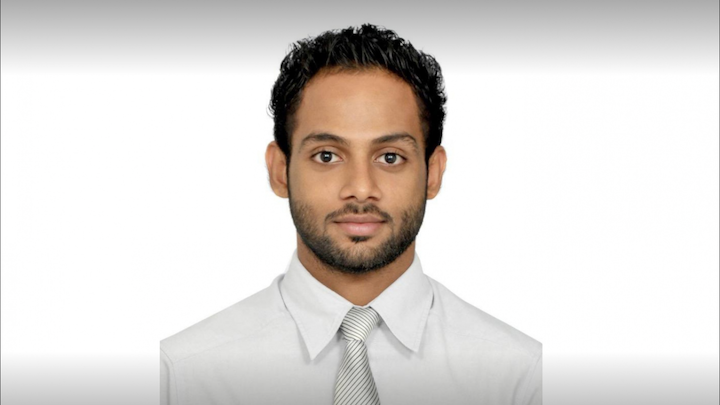 Ismail was also mistreated at a police facility on the island of Kaashidhoo in Kaafu atoll, according to the family. He faced difficulty breathing due to the lack of ventilation in the cell and complained that his drinking water caused headaches. Ismail told his lawyer immediately after the arrest that he was not involved in the murder, the family said, accusing the police of offering to release him if he provides a statement and agrees to testify at trial. “Giving false testimony at trial after swearing by Allah as the price of his freedom is not acceptable to us or Ismail Rasheed himself,” the family said. 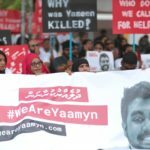 The family said it has repeatedly appealed to the police, the prosecutor general and other state agencies to conduct the investigation in accordance with the law and “to take legal action against Ismail Rasheed if has truly committed a crime”. Yameen Rasheed, a 29-year-old human rights defender, satirist and IT professional, was found with 35 stab wounds in the stairwell of his apartment building in the early hours of April 23. 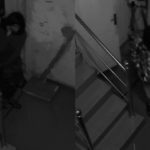 The police said on Sunday that investigators analysed more than 1,850 hours of CCTV footage and 40,000 photographs of individuals aged between 20 and 40 to locate the suspects.